Dadri, Uttar Pradesh:Sonia Gandhi, chairperson of the Congress-led United Progressive Alliance, or UPA, on Tuesday intensified efforts to win over farmers by attacking Uttar Pradesh chief minister Mayawati, saying her government was not giving adequate compensation to farmers whose land was being acquired. “The Congress party is not against acquiring land for development. 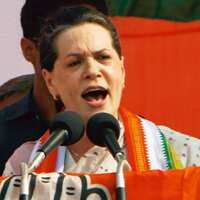 But it should be done in a just manner," Gandhi said while addressing a farmers’ rally in Dadri. “Welfare of the farmers cannot be ignored. They should get proper compensation and also partnership in the land acquired." The Uttar Pradesh government is in the process of acquiring land for the proposed 800km-long Ganga Expressway, which aims to link Greater Noida with Ballia. The state unit of the Congress has organized protests against land acquisition in Greater Noida and Badalpur — the native village of Mayawati — where the state administration is acquiring land to build a world-class recreation centre. Rita Bahuguna Joshi, president of the Congress’s state unit, said the protest was not limited to Greater Noida and Badalpur. Gandhi said the UPA government has prepared a Bill for land acquisition. “We hope to pass it in Parliament soon and the farmers will get justice," she said. Haryana chief minister Bhupinder Singh Hooda, who also attended the rally, said his government has raised the compensation to Rs80 lakh per acre to farmers whose land it proposes to acquire. The acquisition of farm land for industrial projects including economic enclaves has become a contentious issue over the past few years. Protests over land acquisition for Tata Motors Ltd’s small car factory at Singur in West Bengal last month forced the company to halt work at the project site and look for alternative locations. A similar situation exists in the Jagatsinghpur district of Orissa where South Korean company Posco plans to set up a $12 billion (Rs56,280 crore) project.